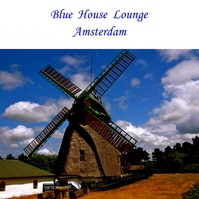 After a long night of dancing and you need to cool down a little bit, checkout the funky hypnotic grooves of “Amsterdam” by Blue House Lounge. A collection of grooves to keep your party going while you decide whereto go while you’re cruising the strip. All songs were written by Kid Charlemagne who has travelled the world soaking up inspiration of different styles of music. Mellow, funky hypnotic songs that will pulse through your mind, body and soul. The pace picks up with “Soul Flow” a song that has that 70’s feel to it, and “Cupid” has that slow jam feel for that all night groove. The last two tracks “Between Euphrates and Tigris” and “Chinese outro” sends us to the Eastern and Asian side of world. www.cdbaby.com or download it in many different portals like iTunes. There is nothing better than a good glass of red wine and great, emotional, vibrant Italian music.Not only at this time of the year - Italian music is always warm and heart-full - at any season. Listen - and enjoy a fabulous, rich in variety album, that will accompany you through seasons and years to come. BRIVIDO by Roberto del Monte.